These are some of the images that we feel represent the essence of this neighborhood. But we know there are a lot more great shots out there, and if you have one that you think should be included here, please contact us. The sense of magic here [in Glendale] is created in a parklike setting of winding lanes, still lighted by old style gas lamps. Trees with as many years as the village itself still surround the majestic old-fashioned homes. 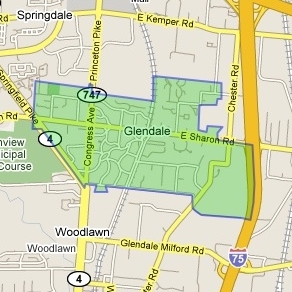 Incorporated in 1855, Glendale is a quiet northern suburb built on a rail line. Citizens enjoy a tranquil existence in a village that boasts quality shopping and dining, fast access to the interstate system and excellent schools.